It is natural to feel pangs of nervousness before a flight and it is also obvious to be overwhelmed with mixed feelings of joy and sadness after returning home from a flight. 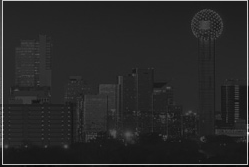 SelectDFW understands how important it is to strike a balance and relax your mind both before and after a flight and that is why, we present to you Dallas Airport Limousine for all your travels to and from the airport. Making your booking with Dallas Airport Limousine is a wise choice because when you travel with us, we ensure that we create an environment of relaxation for you. We can provide you with refreshing drinks, soothing music, a movie, the companionship of an experienced driver or the space to gather your thoughts. Your choices matter to us; therefore, we do our best to provide you with your requirements upon request. You have the privilege to experience a whole new world of luxury in a Dallas (DFW) Airport Limo, just like we have the privilege to serve you when you choose to travel with us. Hire Dallas Airport Limo Rental for all your airport travel needs and look forward to the realm of relaxation that awaits you.